AEON Credit Service (M) Berhad (“ÆON Credit” or the “Company”) was incorporated on 6 December 1996 and was converted into a public limited company on 9 February 2007 and listed on the Main Market at Bursa Malaysia Securities Berhad on 12 December 2007. ÆON Credit commenced operations in 1997 by providing Easy Payment schemes for purchase of consumer durables through appointed retail merchants and chain stores. Today the business of the Company had expanded to include issuance of Credit Cards, Easy Payment schemes, Personal Finance scheme, Insurance business, and other services. The Company currently has 6 Regional Offices, 64 branches and service centres located in major shopping centres and towns, and a network of more than 12,000 participating merchant outlets nationwide. ÆON Credit believes in working closely with its business partners to provide consumer financing products and services which meet customer needs. The Company currently has approximately 4.0 million card members for the various products and more than 3,300 staff in service with the Company. ÆON Credit is a subsidiary of ÆON Financial Service Co., Ltd. Japan (“AFSJ”), which is listed on the First Section of the Tokyo Stock Exchange. AFSJ is mainly involved in the issuance of credit cards, and it currently has more than 26.69 million card members in Japan. It is one of the biggest credit card issuers and leading consumer credit provider in Japan. AFSJ is in turn part of the ÆON Group of Companies (“ÆON Group”), a global retail and financial services group. ÆON Group consists of more than 300 subsidiaries and affiliated companies. ÆON Group operates not only in Japan but also in Southeast Asia, China and India. At ÆON, our eternal mission as a corporate group is to benefit our customers and our operations are thus customer-focused to the highest degree. 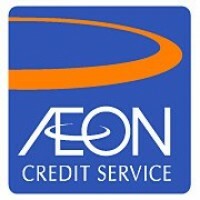 AEON Credit Service (M) Berhad is a leading consumer financing provider with business operations in Japan, Malaysia, Hong Kong, Thailand, Taiwan and China. We established a strong presence in Malaysia since 1996 with a wide range of consumer financial services. Our portfolio currently includes credit card, personal financing and easy payment scheme which help enrich the livelihood of many Malaysians. We offer an exciting and dynamic workplace for all employees. As part of our expansion plan, we are on the lookout for talented individuals who strive for excellence. If you are visionary go-getter, come join us today. Together, we can shape a promising and satisfying career path.